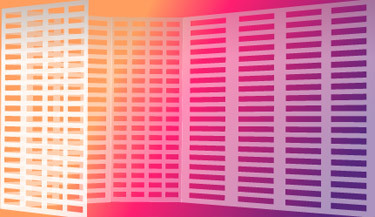 This tutorial is about creating an interesting effect with gradients and a wall. Draw a rectangle and fill it with a gradient. 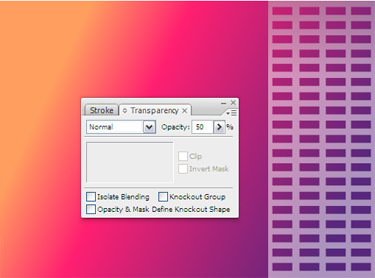 Use the Gradient tool and the Shift key to vertically apply it. Lock the background layer. Draw a new rectangle on a new layer. 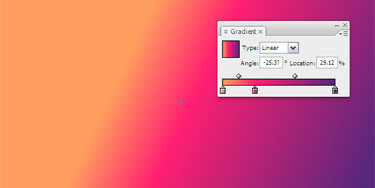 Apply the gradient given below. On the same layer draw a small rectangle and duplicate it horizontally. Then choose all the rectangles and duplicate them vertically. Select all. 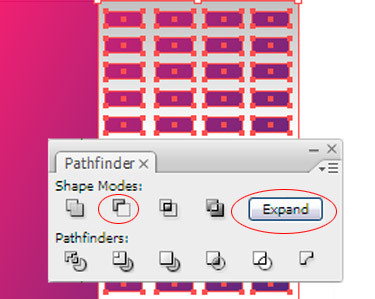 Click on Pathfinders Subtract from Shape Area and then click on Expand. Go to Transparency and reduce the opacity to 50%. Alt+drag a copy to the side. Choose Expand again. Make sure it’s on Gradient Mesh. 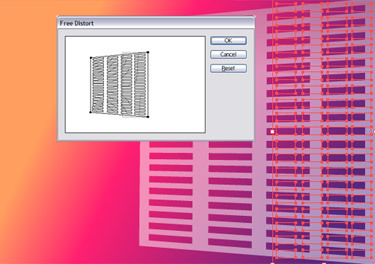 Select Free Distort and make a Perspective. Expand the duplicate and then drag a copy of that to the back. Make some adjustments. Pick the duplicate image and copy the right grid wall. Then drag it over to meet the edge of the back grid. Reduce the size of the left grid wall so that it’s top and bottom edges meet the wall behind it. 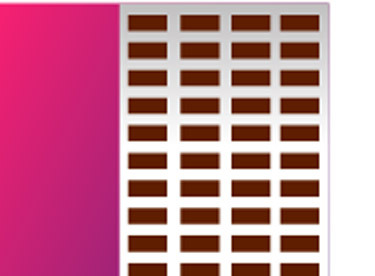 Increase the opacity to 70% for the right and left grid walls. Make a layer below and draw in a ceiling then apply a gradient to it.